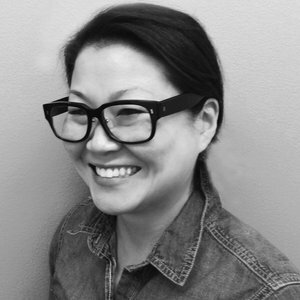 Helen is the President and Chief Creative Officer for the Grey Group in Canada with offices in Vancouver, Toronto and Montreal. A 20 year industry veteran, Helen has worked at agencies including Saatchi, Taxi, JWT, Ogilvy, Havas and as Creative Director at Strawberryfrog in Amsterdam. At Ogilvy, Helen was on the original global team for the highly recognised Dove Campaign for Real Beauty and helped launch the award winning initiative in North America and Europe. Helen has also worked as a Global Creative Strategist at Facebook and Instagram. Prior to joining Grey, Helen was CEO and CCO for Havas Canada. Her work has also been recognised as creative and business success stories in North America and Europe with clients including Toyota, Unilever, P&G, Novartis, American Express, Telus and Kraft. In addition to her work being recognised at national and international awards shows including Cannes, One Show, Clios, Effies, her longer format branded content films have been awarded at Film Festivals including the Toronto International Film Festival, Palm Springs, the Genies and HotDocs. Active in the advertising community, Helen is on the Board of Directors for the Advertising and Design Club of Canada and is has been on juries for award shows including One Show, Clios, Communication Arts, New York Festivals, Canadian Marketing Awards, Crestas, AdStars and the D&AD.